Karosserie’s racing heritage goes all the way back to our roots when we started in 1973. 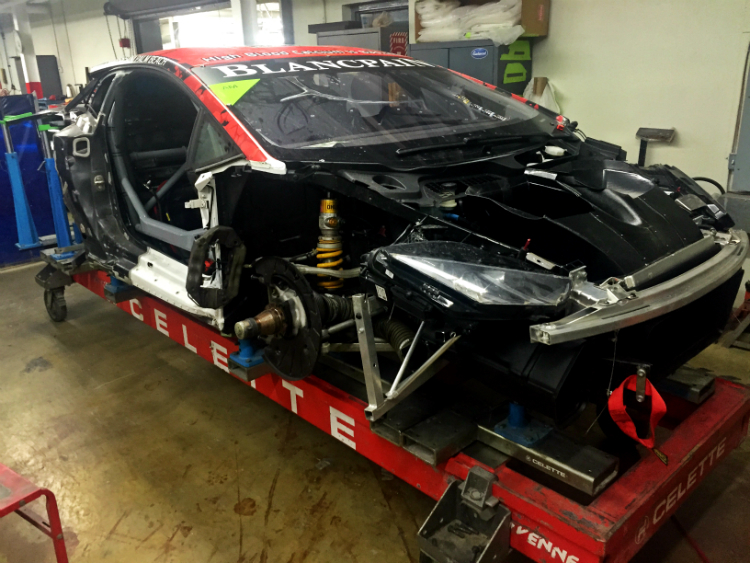 We have had a long history with Ferrari race cars and our repairs on race cars continues to this day. When Lamborghini fell under the Audi brand umbrella after VW Groups purchase in 1998 Karosserie became one of the country’s original certified shops. Our history with Audi North America goes back to the introduction of the all-aluminum A8 in 1994. Knowing our deep knowledge and experience working with aluminum, they asked us to be 1 of the first 7 certified aluminum shops in the country. 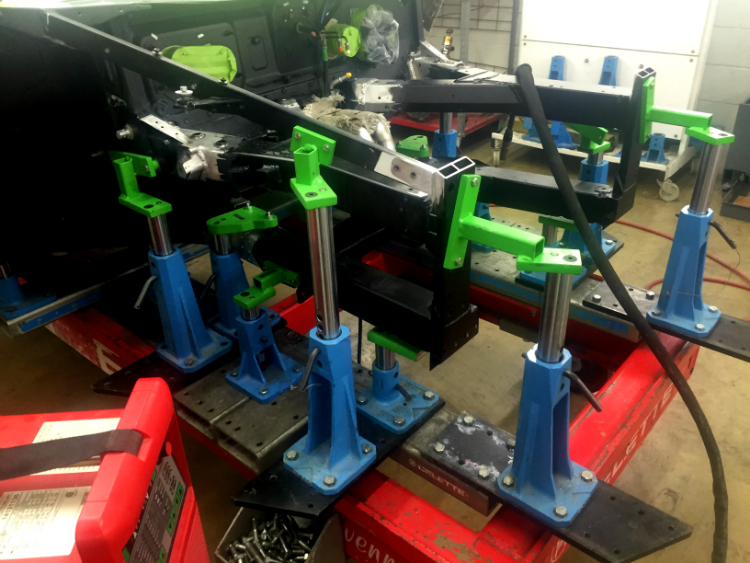 This long standing relationship with the brand has made Karosserie one of Audi’s most trust repair partners. 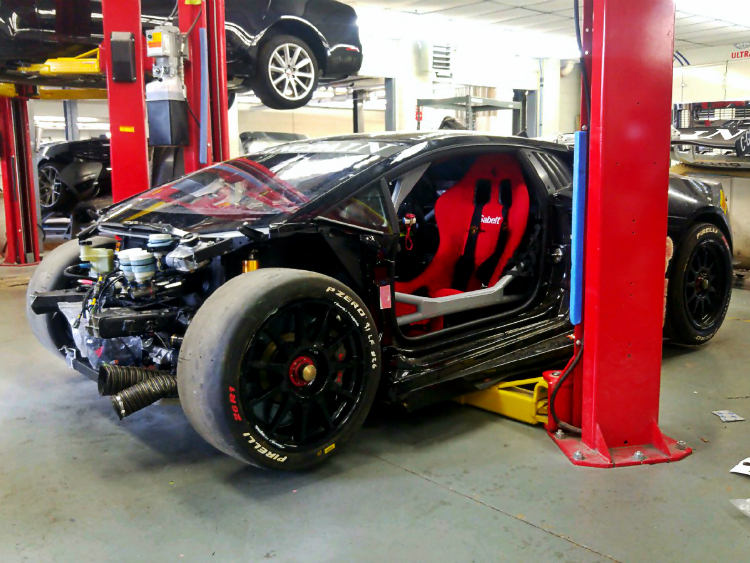 So it made perfect sense for Audi to seek us out for repair assistance when major damage occurred to any of the specially outfitted Lamborghini Race Cars participating in the brands prestigious Super Trofeo Race Series. 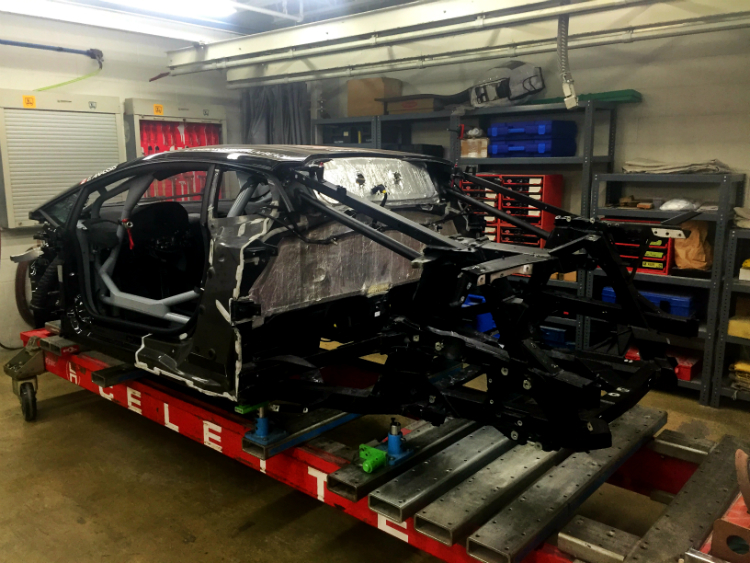 For any race damaged cars on the east coast, Karosserie coordinates with the race team and Audi North America on repair logistics. 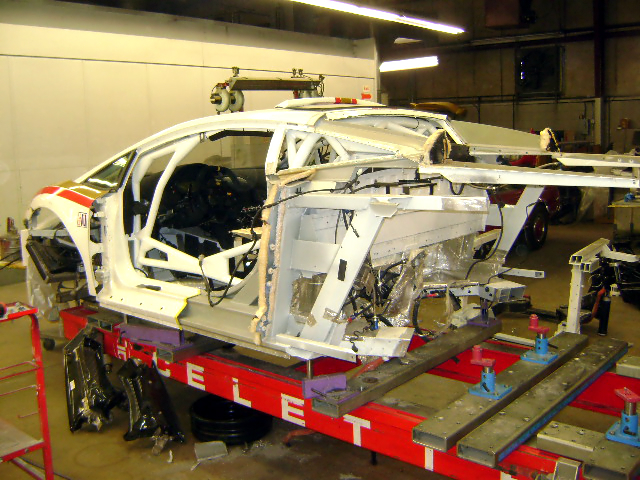 Upon arrival the car is already stripped and ready for complex structural repairs. 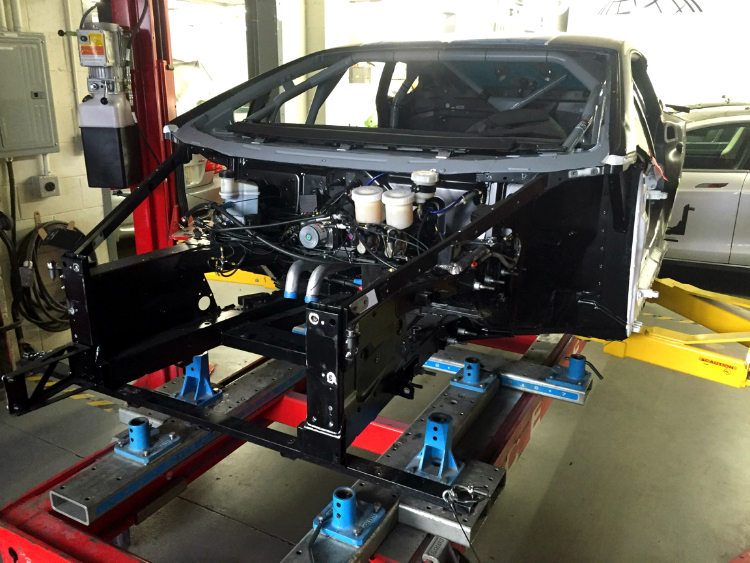 Special care must be taken to ensure the structure is secure for racing conditions and doesn’t alter the highly specific set-up implemented by each team. 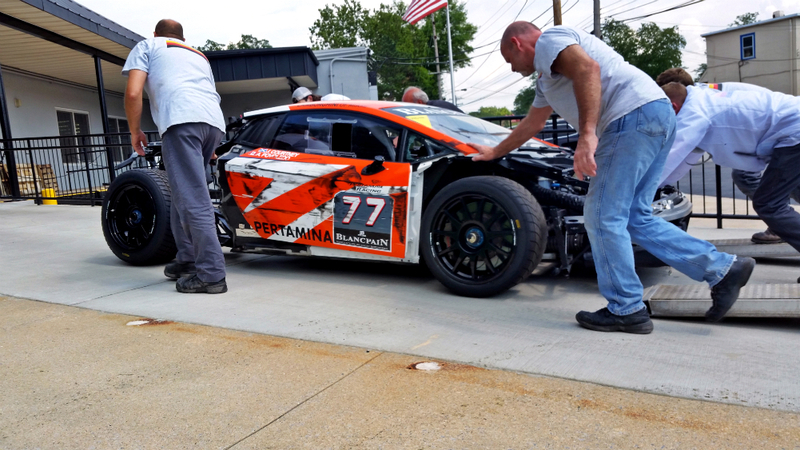 Our relationships with Audi of North America, Lamborghini, and the Super Trofeo race teams are something we truly value and are grateful to be a part of.